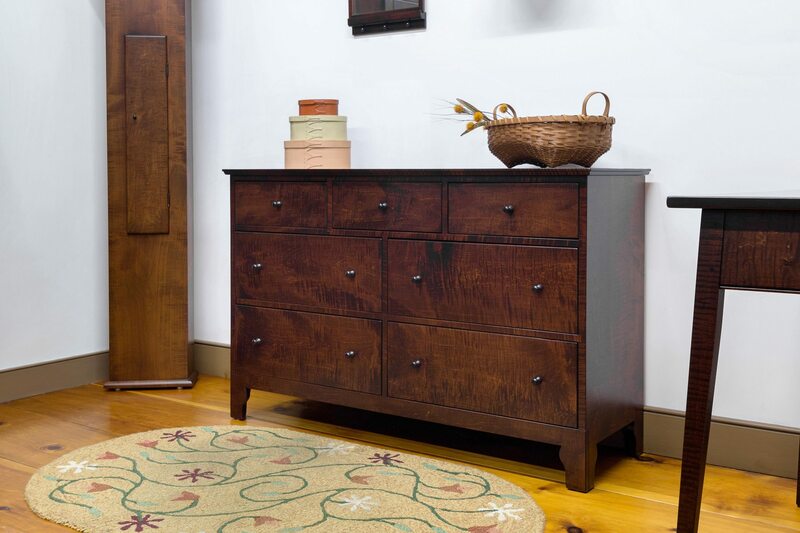 Hand-made in Lititz Pennsylvania in our workshop, our Shaker Style Bedroom Furniture is of the highest quality. 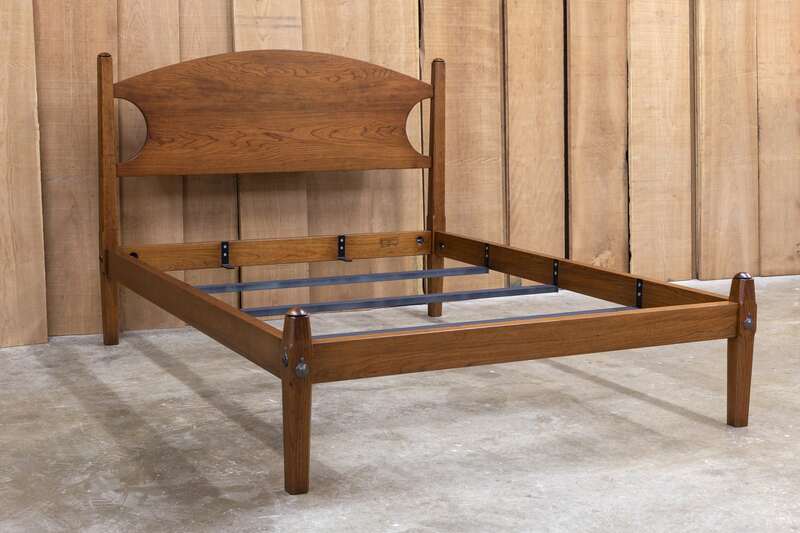 It is made using fine traditional joinery and select solid woods like Tiger Maple, Pennsylvania Cherry, White Oak and Sugar Pine. Many wonderful finishes are available that include natural finishes, pleasing stained finishes and historical painted finishes. 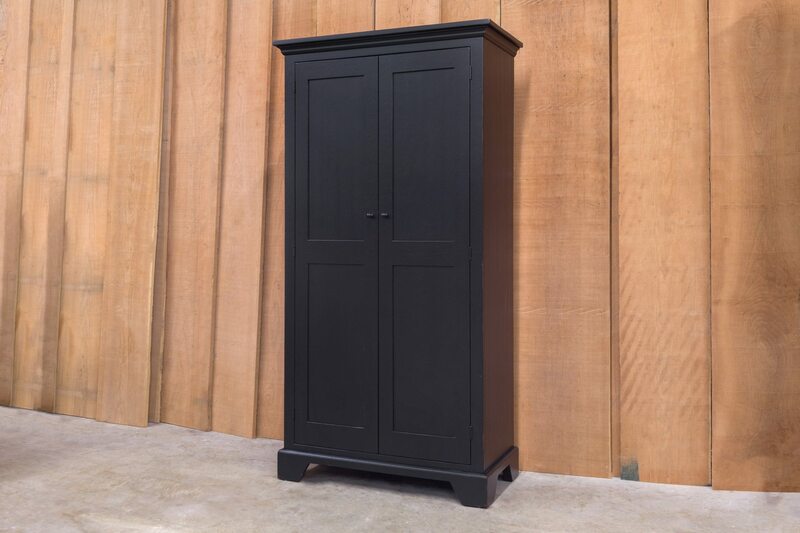 A wonderful collection of Shaker Style Bedroom Furniture including beds, dressers, nightstands and larger pieces such as armoires and lingerie chests are available in many sizes and styles, we also offer custom work and custom matching if you are adding to an existing set. 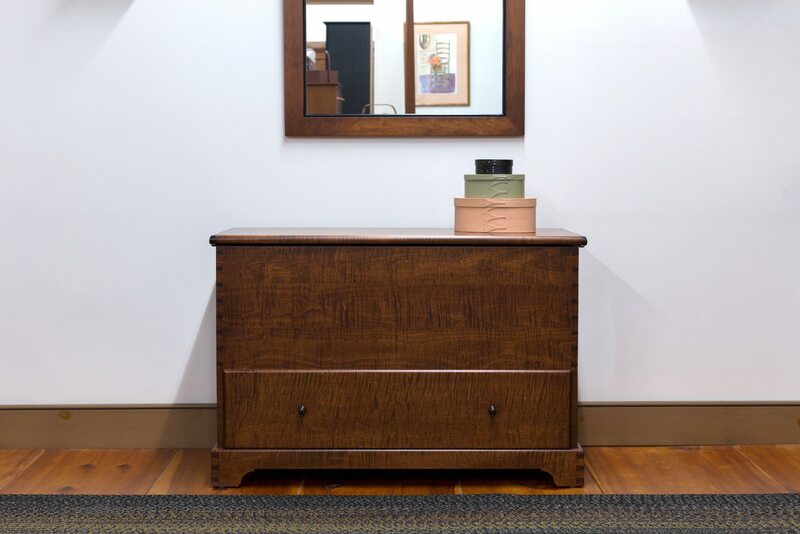 Construction details include pegged mortise & tenon joinery, dovetailed drawers that are mounted on premium under-mount glides and finely finished interiors. 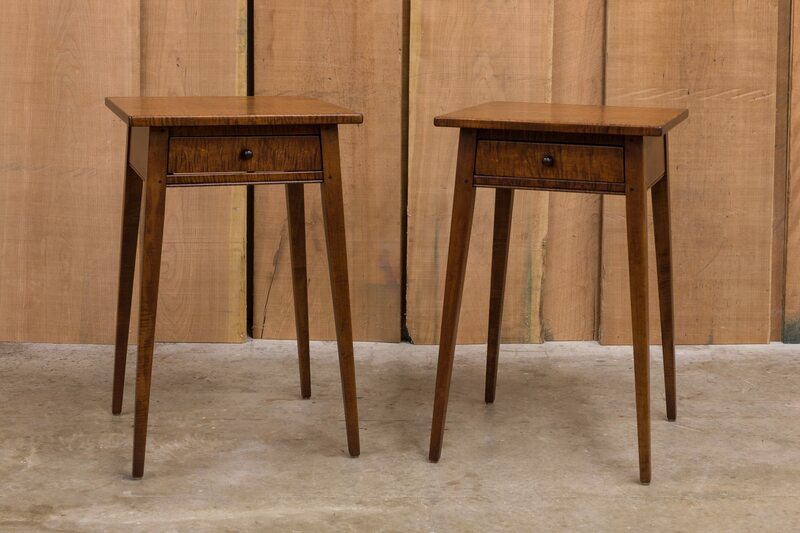 All of our pieces are signed & dated by the furniture maker.